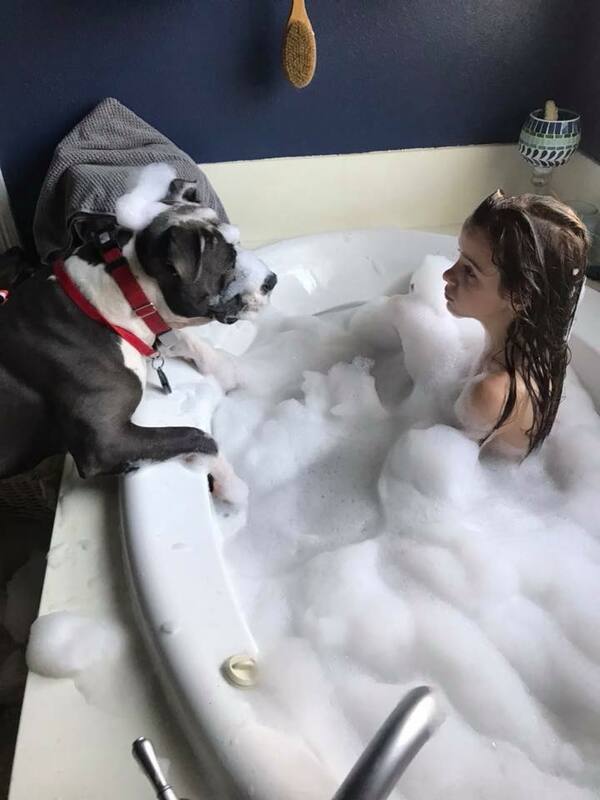 Bath time is always enjoyed by our fur kids and our little humans. Shaylynn is our little with Big Brothers Big sister. Shay is Axel's favorite little human! He just wants to enjoy the bubbles with his bestie. Axel is in training to become a therapy dog and help children. you have put forth in support of your views. First of all, are actually scams and true creators of these studies.